device permissions, such as the ability to read all of a user’s SMS. receive and parse with no input from the user. 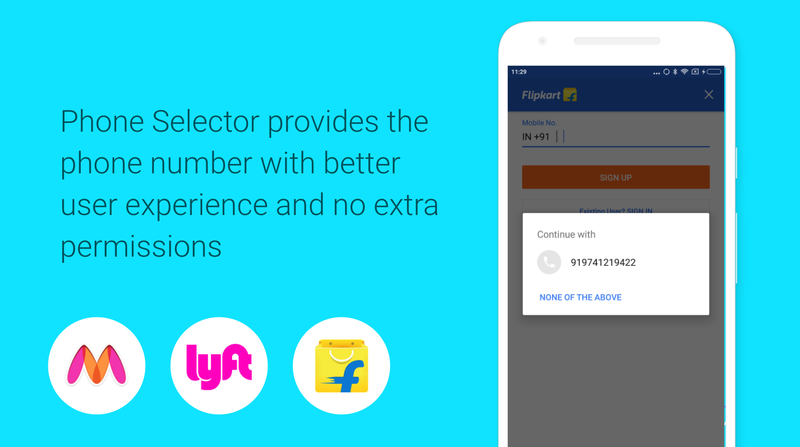 number(s) available on the phone or Google Account for the user to select. to provide a way for your user to type it in manually. identifying themselves with this number. for an incoming SMS from which it can parse the code automatically. specific prefix: ” or two consecutive zero-width space characters (U+200B). Use 123456 as your verification code in Example App! 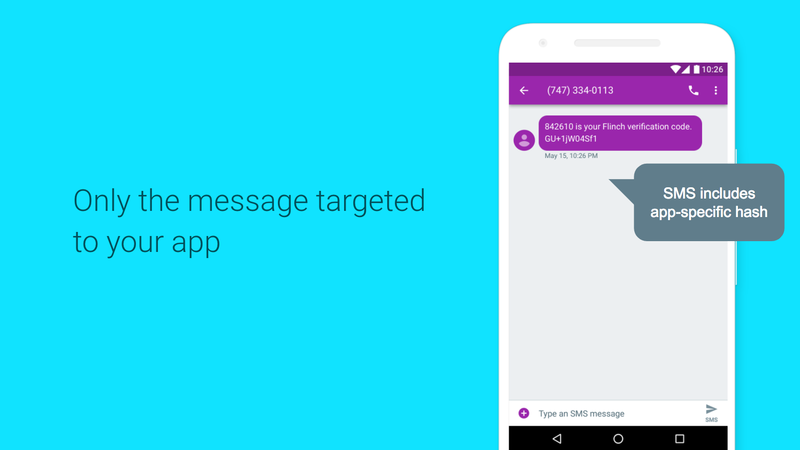 observed and blogged that Android SMS Verification has never been easier.